The Gluten Free Philly clan was out in the Lehigh Valley area recently for a youth baseball tournament and was able to sample some gluten-free fare in the area. Keystone Pub & Grill in Whitehall (1410 Grape St., 610-434-7600) has gluten-free hoagie rolls, burger buns and the fries are prepared separately, A sister location in Bethlehem (3259 Easton Ave., 610-814-0400) has the same bread options but the fries there are not gluten free. Logan's Roadhouse in Allentown (913 Airport Center Rd., 610-266-7400) has a gluten-free menu. The year-old PPL Center in Allentown (701 Hamilton St., 610-224-4625), home of minor-league hockey's Lehigh Valley Phantoms, has hot dog buns and hamburger rolls at the Fresh Classics, Grill Master, Mozzarella, Chef Express and Burger Prime stands as well as Redbridge beer at the Club Bar and Fresh Classics. Though gluten-free options at mall food courts remain elusive, eating elsewhere on mall property is getting more convenient. Catelli Duo, which offers gluten-free pasta, is opening a second New Jersey location this month at the Moorestown Mall (400 Rt. 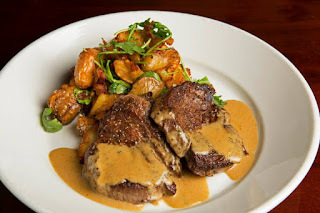 38), replacing Osteria Vetri. Catelli Duo offers gluten-free pasta. Northern Italian steakhouse Davio's plans a second area location of its own next summer at the King of Prussia Town Center. Davio's offers gluten-free menus for lunch and dinner that include pasta. A Harvest Seasonal Grill & Wine Bar location is planned for Radnor (555 E. Lancaster Ave.) at the site of the former Susanna Foo Gourmet Kitchen. A Spring 2016 opening for the farm-to-table concept is targeted. 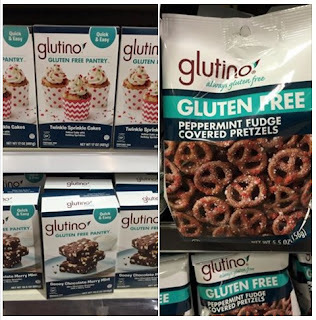 Area Wegmans markets are stocking several holiday-themed products from Glutino, including chocolate mint brownie and sprinkle cake mixes and peppermint fudge-covered pretzels. The Canyon Bakehouse product giveaway I announced on Tuesday runs through Sunday night. Enter to win all 10 of the company's products. 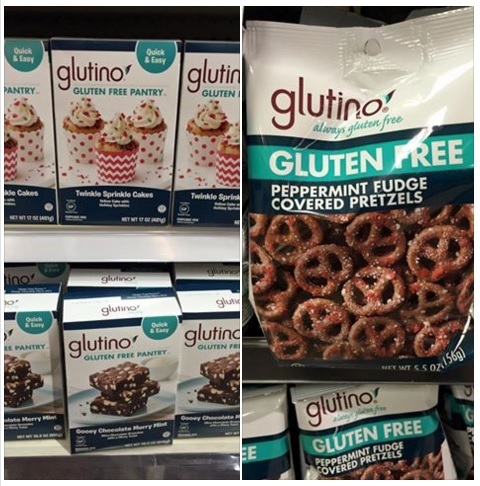 The Central PA Gluten Free Expo is taking place tomorrow at the Penn State Conference Center in State College. Advance tickets are still available at a cost less than the day-of-event price. Tickets are also available for the inaugural Gluten Free Oktoberfest event tomorrow in New York City. The event will feature a selection of over 45 gluten-free ciders and beers and an unlimited amount of gluten-free food, including sausages, meatballs, pizza, fries and desserts.